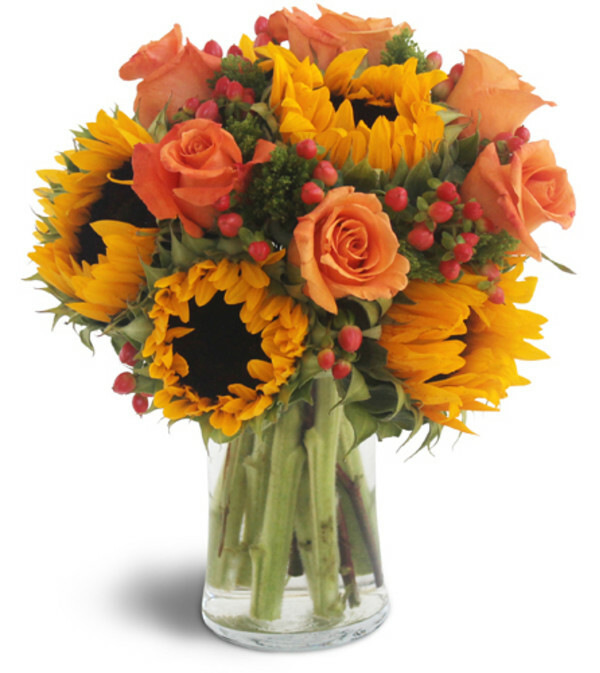 Nothing brightens a day better than sunflowers, and when they are combined with gorgeous coral roses and hypericum berries, it's like sunshine no matter the weather! 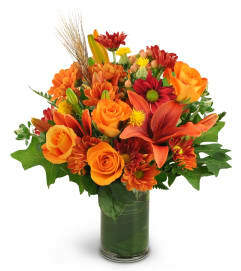 Send this stunning, thoughtful floral gift when you want to say "get well," "Happy Thanksgiving," "thinking of you," or "Happy Birthday!" 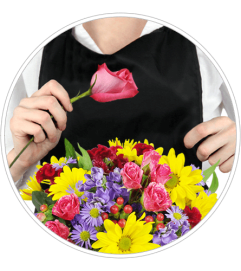 Guaranteed to bring big smiles! 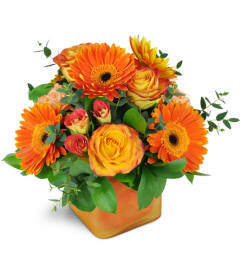 Big, beautiful sunflowers and coral roses are arranged with hypericum berries in a lovely clear, round based glass vase. Stunning.